When you train long enough you eventually understand that sometimes aches and pains are part of the game. A lot of times it isn’t even our training that gives us aches and pains. You could train with the best form, work in a rep range that is conducive for optimal joint health, but a nagging injury may show up. A lot of joint pain sometimes is simply repetitive wear and tear over time. Getting older- As we get older cartilage thins out. Over a period of time the surface of cartilage can change from smooth to very rough, making it easier to damage. Getting hurt before-Previous injuries can play a major role in joint and bone health, even minor injuries that you may not remember may have had an effect on bone and joint health. Inflammation- When certain areas become inflamed this can affect the structure of your joints. Inflammatory cells can end up causing havoc on bone and cartilage. Loss of muscle- Naturally as we age we lose some muscle. If you do not work to maintain some of that muscle your joints and bones end up taking more of a pounding over time, leading to more deterioration. Being overweight- The more weight a body has to carry the more stress is placed on bones and joints causing more wear and tear over time. The human body is an incredible machine but to get the most out of your training, proper bone and joint health is important. One of the best ways to combat a lot of these aches and pains is to make sure you’re doing everything you can for proper bone and joint health. A second great way to ensure optimum joint and bone health is thru supplementation. Extra supplementation can not only help maintain bone and joint health but also can help relieve pain and discomfort that comes with some aches and pains. Just about everyone has heard of the benefits of Glucosamine and Chondroitin for joint health and tissue repair. But what about a few lesser known supplements that may be beneficial. Let’s look at a few supplements that may help bone and joint discomfort. Fish Oils: The positive benefits of Fish Oils at times seems almost endless. Everything from being good for your brain to cutting bodyfat has been linked to Fish Oils. Fish Oils are listed here today because of their anti inflammatory abilities. 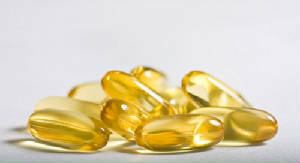 Fish oils contain high amounts of omega 3 fatty acids. Omega 3 fatty acids are great for joint health because they help reduce inflammation that can be associated with some joint pains. Omega 3 fatty acids also play a role in bone healing by helping transport nutrients that promote the regeneration of bone tissue. 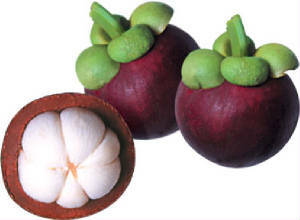 Mangosteen: What the Mangosteen fruit lacks in looks, it sure makes up in health benefits. Mangosteen fruit is very high in antioxidants, vitamin E, vitamin B, as well as essential minerals like calcium, iron, and magnesium. Besides Mangosteen’s vitamin and antioxidant content, it also has one special feature. Mangosteen also has anti-inflammatory properties that are great for arthritis, sciatic pain relief, and various joint flexibility issues. Bromelain: Most people have not even heard of Bromelain and if they have, they know it as a tool to help with protein digesting. Bromelain is a protein digestive enzyme that comes from the stem of pineapples. Bromelain has a second incredible use however, it is great for joint health. The digestive enzyme works much like COX2-inhibitors. COX2-inhibitors are non-steroidal anti inflammatory drugs that target COX2. COX2 are enzymes responsible for pain and inflammation. Bromelain helps stop the production of those enzymes that cause pain and inflammation. Bromelain also breaks down a thing called fibrin. Fibrin is a type of protein than causes clotting and blocks blood flow leading to pain. Cissus Quadrangularis: Get past the funny name and you really have something here. The supplemental form of Cissus is a herbal plant derivative. 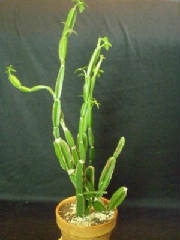 Traditionally through the years it has been used for healing fractures. It also has been praised for it’s ability to speed up healing for bone, muscle, and joint tissue. The actual Cissus plant has a unique blend of vitamins and minerals that that have been shown to greatly improve bone tissue and speed up the regeneration of connective tissue. Vitamin D: No it does not look crazy or have an exotic sounding name but Vitamin D is a key player in bone health. Vitamin D could possibly be one of the most overlooked of the “common” vitamins. Resent studies have shown than not only does Vitamin D have positive effects on the human body like elevating mood, and energy production but also has been shown to have steroid like effects on muscles. Vitamin D makes this list for it’s ability to aid in bone health. Vitamin D is crucial for bone health because it helps absorb calcium. Calcium is one of the most important ingredients in bone building but can not be properly absorbed in the body with out adequate amounts of Vitamin D. Supplemental Vitamin D may be important because few food contain high amounts of natural Vitamin D.
If optimal fitness is your goal then proper bone and joint health is critical. Today we looked at five lesser known supplements that may have added benefit to proper joint and bone health. If you have current bone or joint issues or just want to take some preventative measures you may want to give one or more of these a try.